Can you hear the wedding bells ringing? Whether you’ve been dreaming about this your whole life or started dreaming the second you created your pretend Pinterest board, we wish you not only a fabulous wedding, but a blissful season of being engaged. You may have been completely surprised or saw it coming from a mile away (like we both did with our men) but if you just got engaged within the last few days or weeks, this post is for you! Here are some of our best tips for starting off your engagement right. 1. Take photos of your ring and you and your now-fiancé the same day as the engagement. No matter what. (You may look like crap or a million bucks depending on the style of the proposal but you’ll want to have a photo to look back on in the months and years to come. Can’t have a timehop a year from now if you didn’t post any pics 😉 ) If your significant other is smart, he may even enlist one of your friends to take some super-secret candid shots in the moment. 2. Wait before updating your Facebook relationship status. Just until you tell your family and close friends first. Give them the same treatment you would want and tell them as soon as you can (in person or over the phone or Skype is best). Give them a heads up to wait until posting anything on social media too. This is a tricky situation because the longer you wait, the more likely news about your engagement may spread anyway but you gotta do what you gotta do. 3. ENJOY being engaged. Don’t freak out about setting the wedding date – even though everyone will ask about it all day every day – , who will be in your bridal party, what to do first, or any of the nitty gritty details. Just enjoy the moment. Your fiancé will appreciate the break too. After all, he just successfully planned a surprise and probably wants to spend time with you sighing with relief because you said yes before you switch into planning mode. Give him a couple of days to relax before you jump in. 5. Once you dive into becoming a makeshift event planner (or start looking for one to hire! ), don’t forget about the person you’re marrying. It’ll be easy to get caught up in all the planning — but don’t forget about the person who made this possible by popping the question in the first place!! Make sure to include your fiancé in everything he wants to be a part of (though don’t overwhelm him) – including telling family and friends and taking the plunge into planning the big day. 7. Before you dive headfirst into a sea of wedding magazines, Pinterest boards, and shows, remember, the planning process is supposed to be fun! A once in a lifetime event in itself and it should be as memorable and enjoyable of a time in and of itself. A wedding may be the largest event you will plan but it does not have to be the most stressful. In case you’re curious, (you’re on our blog so you’re probably a little curious, right?) a planner does not take away from the experience of planning a wedding. 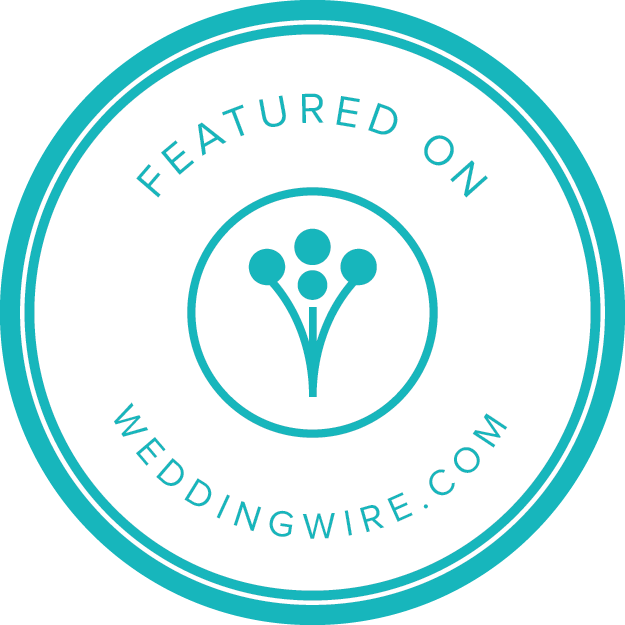 A wedding planner is one of the best investments you can make for your wedding because your planner can recommend vendors from their own personal experiences, negotiate and look over contracts on your behalf, guide you along a personalized planning timeline to make sure you stay on track, and bring everything that you envision to life. If there’s anything I’ve learned over the past few years it’s that DIYing is *almost always* ridiculously more difficult than hiring an expert to guide you through a process, to do work on your behalf, and it may even save you money in the long run. It will certainly save you time. AND you don’t have to put your friends and family to work on your wedding day. They’ll still have plenty on their plates with the showers and parties and fittings to come. Overall, getting and being engaged to the one you love is a magical experience; so take advantage of every moment, do things for yourself to keep yourself stress-free, and savor this time in your life as much as possible! We have a handful of spots left for 2017, we’re also booking for 2018 and we’d love to hear from you! Click here to inquire. Originally published December 26, 2014 a.k.a. two years and one day ago(!) and it was in need of some sprucing up! This is so great! My boyfriend and I are talking engagement within the next year so I’m definitely saving this post for future reference!